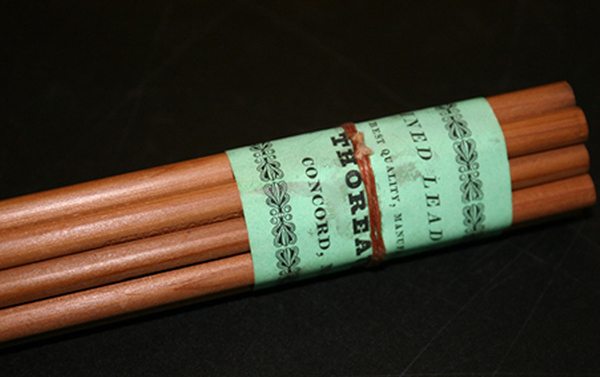 A bundle of pencils, with original label, made by John Thoreau&apos;s pencil company. What could be more natural than putting thoughts into words by writing them down? Thoreau called writing nothing less than “pure mind, pure thought.” So writing is as natural as granola, or as natural as granola made with non-GMO pure nuts and grains. Humans lived on earth for tens of thousands of years, or even longer, without inventing writing, which is only about 6,000 years old. That’s how natural writing is. It's all technology, all artificial in that you need artifice, you need tools, to turn thoughts into visible words. Plato knew that writing was anything but natural when he condemned it in the Phaedrus as a mere aid to memory, not a way of finding the truth. But we remember this because one of Plato’s students disregarded the teacher and wrote it down. There’s another problem with the writing-is-natural rhetoric. It turns out that only certain kinds of writing qualify for the writing-is-natural non-GMO seal of approval. The writing tools we like are natural. We dismiss the others as mere technology, like Frankenstein’s monster: put together in a way that doesn’t quite do the trick. But it’s not like Thoreau was an artisan who whittled pencils while rocking on the porch and thinking transcendental thoughts to while away the hours at his Walden Pond cabin. 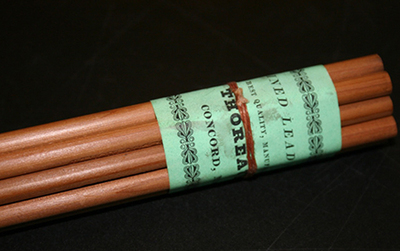 Thoreau’s father and uncle owned a pencil factory in nearby Concord where they mass-produced high-end pencils for a living. And Thoreau himself was an engineer who supported his writing habit in his day job, where he worked to improve the factory’s pencil-making machinery. There’s something poetic about grasping a writing instrument and feeling it hit the paper as your thoughts flow through your fingers and pour into words. . . . nothing will ever replace the sincerity and individualism expressed through the handwritten word. It’s easy to buy the handwriting-is-natural-writing myth where thought travels uninterrupted from brain to arm to hand to paper, until you realize that for centuries, handwriting was taught as the way for all writers to make uniform letters with no individual variation at all, so that handwritten words would look the same no matter who was writing them, and readers would have no difficulty deciphering the written word. Handwriting as a technology was anything but spontaneous. Instead of rebelling against the straitjacket of the uniform type of presses, typewriters, and now our digital devices, handwriting offered a model for the printed word. 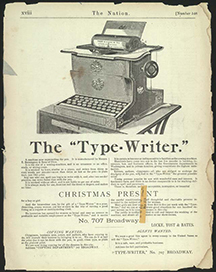 It only became individualist, artistic, and creative when the press and later, the typewriter, took over as the primary way to produce readable books or documents—in other words, until newer technologies rendered handwriting obsolete. And even then handwriting was never natural—the most eccentric, idiosyncratic scrawl was still a skill that had to be learned. 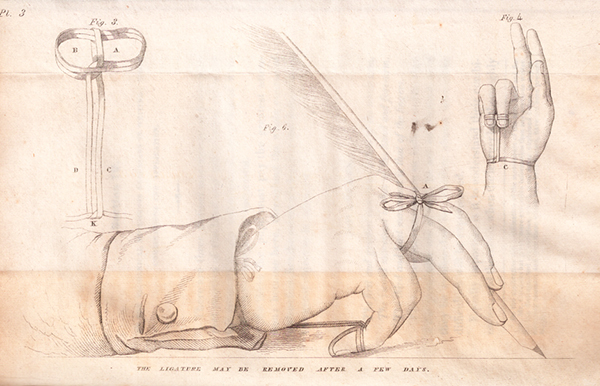 The talantograph, a 19th-century harness, really a torture device, forced the wrist and fingers into the proper position for drafting uniform letters. And it’s easy to buy the pencils-are-natural rhetoric if you’ve never tried to make your own pencil. It takes more than a block of cedar, a hunk of graphite, and a pen knife. Essentially, it takes a factory to make a pencil. That’s writing technology for you. Thoreau made pencils in a factory, but that doesn’t mean he approved of all writing technologies. He wrote his critique of the telegraph, and of other features of modern life, with "a pencil that he made himself"—or more likely, a reject that he picked up from the factory floor. In turn, Samuel Morse dismissed Alexander Graham Bell’s telephone, because who wanted a technology that didn’t make a permanent record of a conversation? Editors, authors, clergymen—all who are obliged to undergo the drudgery of the pen, will find in the “Type-Writer” the greatest possible relief. Young persons acquire its use with wonderful ease and interest. It fascinates them, and there is no device comparable to it for teaching children to spell and punctuate. For many seasoned computer users, the brain seems to be more at ease in sending signals to one’s fingertips to pound the keyboard rather than sending instructions to the same fingertips to write on a piece of paper. The Touch Bar gives users a more immediate and intuitive connection to the content on their machines. The ability to interact with technology through touchless gestures and sensed body movements is becoming an everyday reality. The emergence of Microsoft Kinect, among a host of other related technologies, has had a profound effect on the collective imagination, inspiring and creating new interaction paradigms beyond traditional input mechanisms such as mouse and keyboard. Kinect and other technologies form part of the broader suite of innovations that have come to be characterised as Natural User Interfaces (NUI). But waving words into existence on a screen—Microsoft make it sound like Faust summoning the devil—is no more “natural” than pounding them out on a keyboard, painting them on paper, or carving them in clay. Speaking of which, writing on clay used to be a major writing technology, and it’s likely that the ancient Sumerians who didn’t like to write on clay—which is most of them, since it was still early days for literacy—dismissed it as unnatural because, who in their right mind would want to drag a stick through wet mud when talking is such a natural interface? And the Sumerian scribes probably shot back, hey, my stylus lets me complete the circuit that connects my brain to my arm to my hand to the clay, which means everything I write contains a teensy bit of my intellectual DNA. This is cutting edge stuff. One day everybody will write on clay with a stylus, it’s so natural, plus, I don’t see your empty words drying in the sun and lasting thousands of years. I mean, I can’t even remember what you said five minutes ago. Maybe you’re happy discoursing like a Luddite, but I need to get back and finish writing up how many sheep and jars of olive oil my boss traded at the market this afternoon. Oh, and come over for dinner later, if you can. I’m cooking up a new batch of granola.